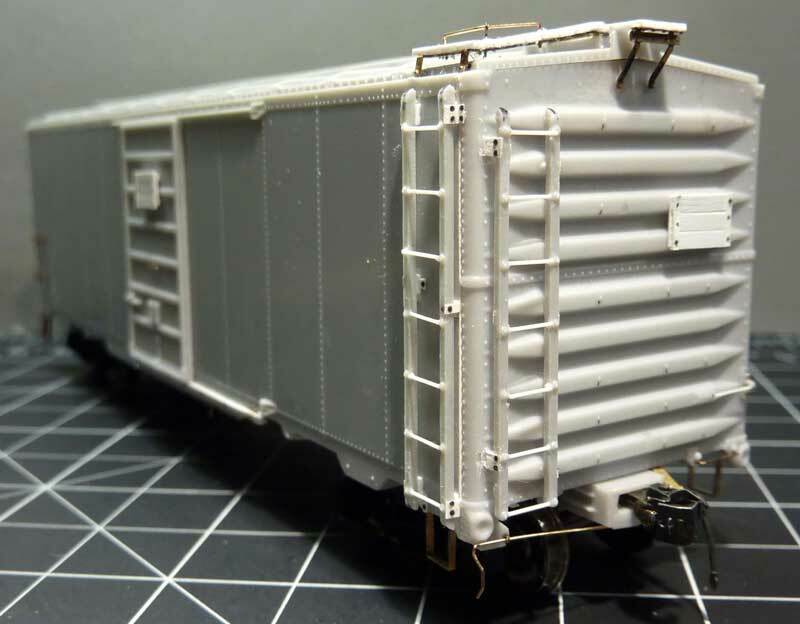 This HO scale mini-kit is a pair of cast resin ends and a set of Chicago Great Western decals than can be used to transform an Intermountain 1937 AAR box car to reflect an interesting prototype. A similar Red Caboose model can also be used but the ends are cast onto the carbody and will need to be removed in order to install these replacement parts. 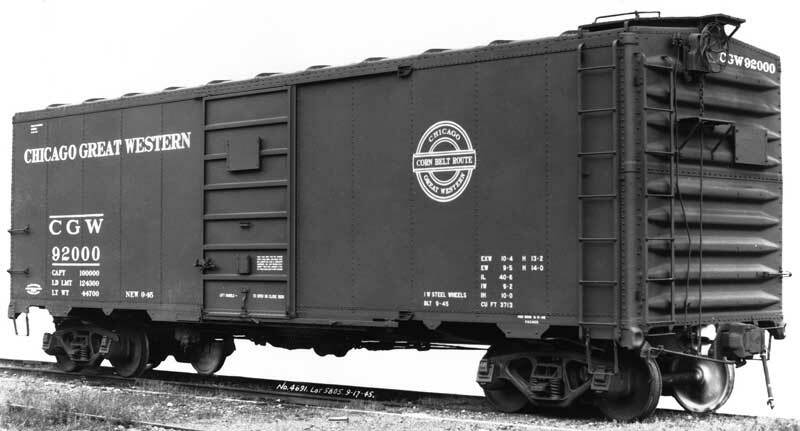 The proprietary Pullman Standard “Carbuilders” corrugated ends were used on two series of Chicago Great Western 1937 AAR box cars. The Pullman Standard specialty item was specified as “Steel Ends – Carbuilder – Corrugated Round Corner” in the car order bill of materials. The master was created by Jason Kliewer and printed as a 3D solid model. These were cleaned up and used to make molds to cast these resin ends. The RPM Chicagoland forum has a discussion thread on building these models.